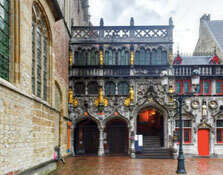 Discover the Best of Belgium with Ed-Ventures! Day 1: Our journey begins as we board our international flight bound for Brussels, Belgium. Day 2: Our flight brings us to Brussels early in the morning. 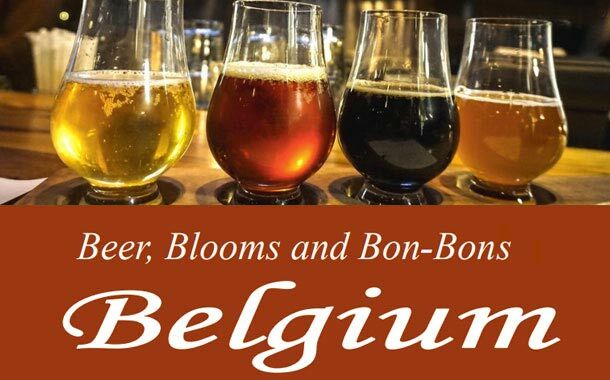 We start our tour right from the airport, with visits to the Belgium Chocolate Village, the Castle of Groot-Bijgaarden with their gardens, and Timmermans Brewery and the National Basilica. We check into our hotel where you have time to rest and refresh before a quiet dinner at the hotel. Day 3: This morning we take a tour of Waterloo. Next we head to Leuven for a visit to the Krudtuin Botanic Garden. Then we visit the infamous Stella Artois Brewery. Our dinner tonight will be in one of the oldest restaurants in Leuven, and feature some of the Belgium favorites – the mussels, fries, stews and seafood that define the country. Day 4: Today, we stretch our legs and get to see Brussels through a walking tour of the central part of the city. We’ll start with the morning flower markets in Grand Place, and talk about some of the buildings that surround the square. We will visit the Basilica of Brussels. 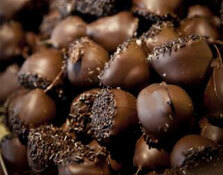 There will be visits to “Butter Street”, where we can choose to visit Godiva, Neuhaus, Galler or Leonidas chocolatiers. 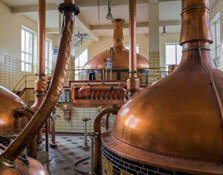 We’ll visit the Brussels Brewers House & Museum, before a brewer’s lunch in one of the many restaurants. After lunch, we’ll stroll through the city sights with Cantillon Brewery as our destination for a tasting and tour. 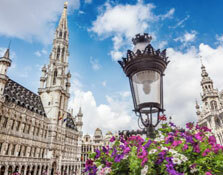 Dinner will be on your own so that you may choose one of the many ethnic restaurants, a quick bistro dinner and walk, or one of Brussels’ fine dining establishments. Day 5: From Brussels, we’ll travel to Flanders Field, made famous by the poem of the same name. At Flanders Field we will visit the American Cemetery. We’ll also see the monks hard at work at the Trappist Westvleteren Abbey and Brewery. 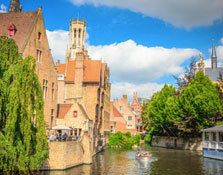 We’ll continue to pass through the area, dotted with small villages, towns centered on centuries-old squares, and big industrial areas, before arriving in peaceful Brugges to check into our hotel. Dinner will be on your own. Day 6: Brugges is a pretty little medieval canal town on the Belgian coast. It got its start in the textile industry, and you can still see women working on the handmade lace and needlework that’s made the region famous. We’ll start the day with a walking historic tour, including stops to the Church of the Holy Blood, the markets, and the downtown buildings. During the tour we’ll learn about the history of the Benguinage, the home for lay religious women, that dominates the downtown area. We’ll stop into the Beer Temple and see how many of the varieties shown on the Great Belgium Beer Wall we’ve yet to sample. We’ll also get a chance to sample the chocolates of the 3rd generation to run Chocolates de Clerek, and also the forward thinking Chocolate Line. We will have dinner in one of the city’s many historic buildings. Day 7: Your day is free to explore – take a boat ride on the canal, see the windmills, admire Flemish art on display in the churches and museums, watch ladies making lace, or just continue to sample the brews and Bon-Bon’s of the city. This evening, we’ll tour the coastal area from Zeebrugge to Knokke-Heist by bus, before heading for a local restaurant for fresh-caught sea food right along the waterfront. Day 8: Unfortunately, we have to say goodbye to Belgium as we head to the airport for our international flight home to the US.